We love the trend of mis-matched crockery and tableware, but sometimes a set just catches your eye and you need to have every piece! 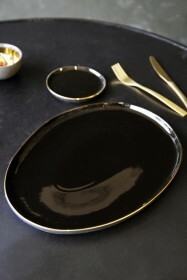 The Glossy Noir set combines a matte black exterior with a glossy black interior and hand painted gold rim to create a set that is both glamorous and sophisticated. We love how they look together, you'll be dinner party ready in no time! 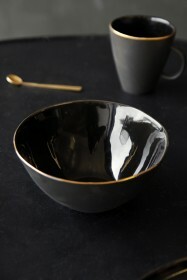 The Glossy Noir collection includes a bowl, platter, muffin plate and mug. 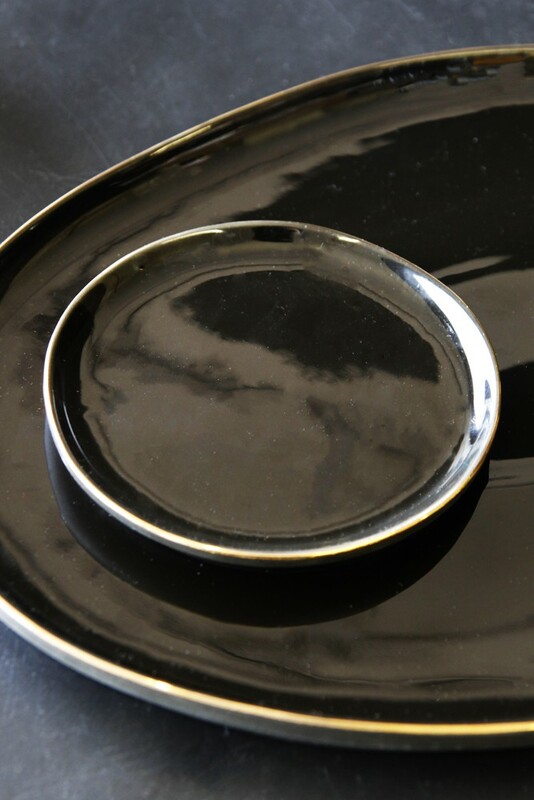 Paired with our gold cutlery you'll have a picture perfect table. Care instructions: Food safe, do not microwave, dishwasher safe but hand wash strongly recommended.